When Moosejaw reached out to me to join in on their #MyMadness campaign, I was incredibly excited to get outside and use their gear in the wild. My first order of business was to select some gear that would fit my outdoor lifestyle. Here's what went down with the gear I was given! It's 6:00 am in Boulder, Colorado and the sounds of birds chirping are starting to fill the air. After a late night out we all rally at my house to get ready to head to the mountains. The coffee machine is running and everyone is starting to pack their cars to start our journey up to Arapahoe Basin Ski Resort in Summit County, Colorado. Finals are right around the corner but a late spring snow day never stops our crew from sending it up to the mountains. Luckily, I just received the Moosejaw Men's Mt. Elliott Insulated Waterproof Jacket to help keep me warm. When I first received the jacket, I was astonished by how light yet warm it was. It was the perfect choice for the day. After the hour and a half ride up I-70, we had finally made it to the parking lot of the resort. Everyone in the lot was ecstatic with energy since this was most likely going to be our last 'pow' day of the season. We stepped in our boots, strapped on our helmets, and headed to the lifts. As we ascended up the lift, you could hear everyone woot'ing and hollering in excitement as they dropped into fresh tracks. After skiing all morning, we headed back to the car to eat our sandwiches and enjoy a couple of beers before we headed back onto the slopes. This was a perfect time for me to use the beer opener that happens to be attached to one of the inside pockets of the jacket. This is a great feature and it really came in handy. We gathered ourselves and headed back to the mountain. One of my favorite parts of skiing is that I get to do it surrounded by my best friends. This was definitely one of those days that will stick with me forever. 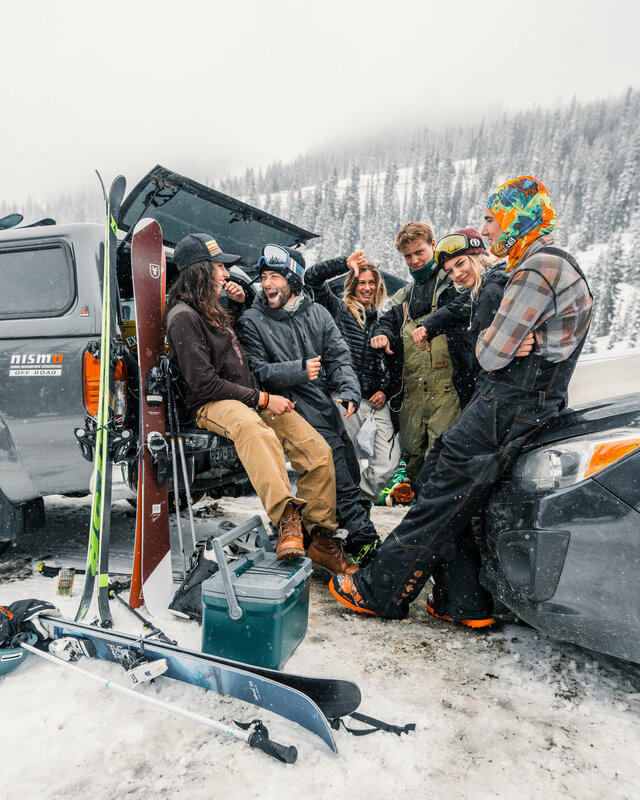 Fresh snow, cold beers, and being surrounded by your best friends, what else could you ask for?! Ski season is winding down which means the climbing season is upon us. I recently picked up sport climbing last year and instantly fell in love with it. Luckily for me, I have tons of friends who love to get on the wall and push themselves, which ends up pushing me to my limits. Even though I had been sport climbing for the better part of the year, I had never led a route but little did I know that was going to change today. 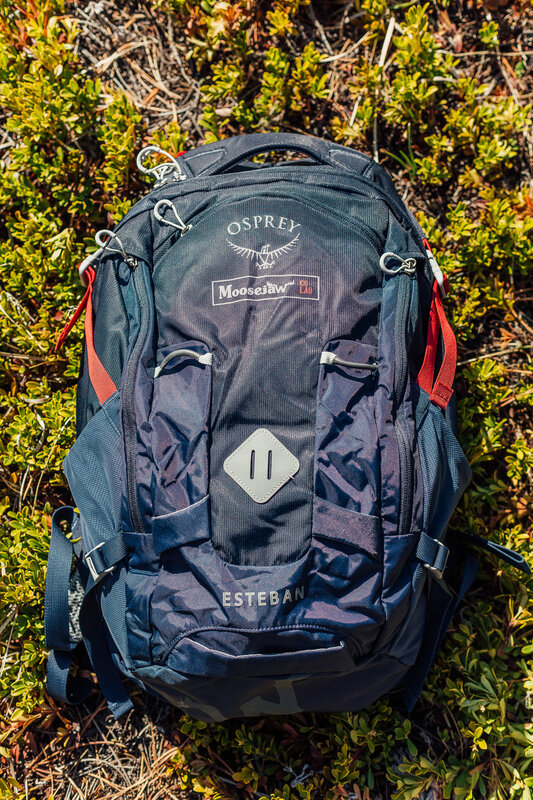 I packed my gear into my brand new Moosejaw CO-LAB Esteban Pack by Osprey which was perfect for my climbing gear and hammock. We all rallied together, packed the car with snacks and beer, and headed up into Boulder Canyon to spend the afternoon climbing. After crossing the tyrolean over the river, we hiked up into a climbing area known as Avalon. This area is a well-known spot in Boulder and has a great range of grades for every level of climber. After watching my friends lead routes for the better part of the day, I knew it was my turn to get off top-rope and lead my first route. With Holly on belay, I decided to head up a 5.9+ route. This was truly a whole new ball game for me as I didn't have the confidence of being on top-rope. I LOVED every second of it, it was #MyMadness. I was instantly hooked. Having my friends push me to my limits is something I truly love them for. I wouldn't of been able to do it without them. The next day, my roommate, Tess (our 13 year old Lab), and I decided to take an off-road adventure into the mountains to find a hammock spot for the day. Living in Boulder gives us access to a wide range of off-roading roads so we decided to get on a road that we've never been on before. We picked the perfect day to head into the mountains as it was 80 degrees in Boulder and it always tends to be a bit cooler up there. As we drove down Sugarloaf Mountain, we noticed the perfect spot in the distance to set up hammocks for the afternoon. It was the perfect spot to hang out for the afternoon and enjoy some time in nature. I unpacked my hammock from my Moosejaw CO-LAB Esteban Pack by Osprey and began setting it up in the meadow. 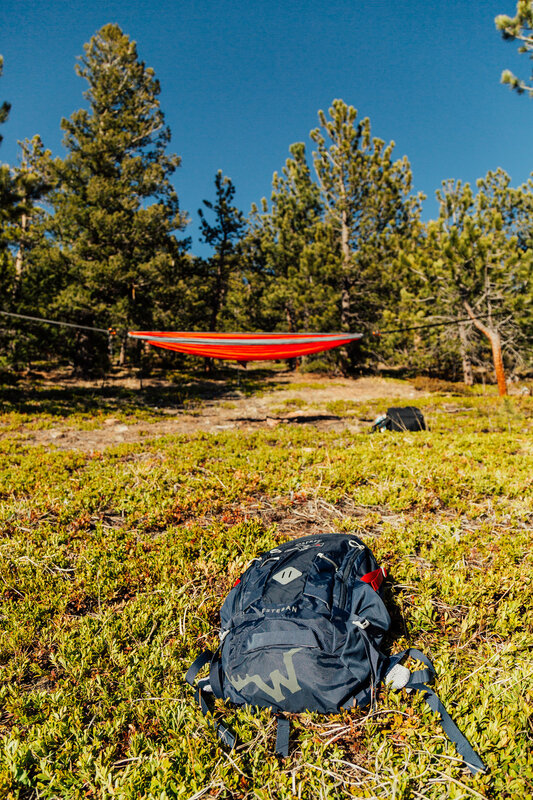 The pack was a great way to bring all of the essentials we needed and it fit snacks, drinks, and my hammock perfectly. Thank you to Moosejaw for kindly sponsoring this post. All opinions are 100% honest & completely my own.